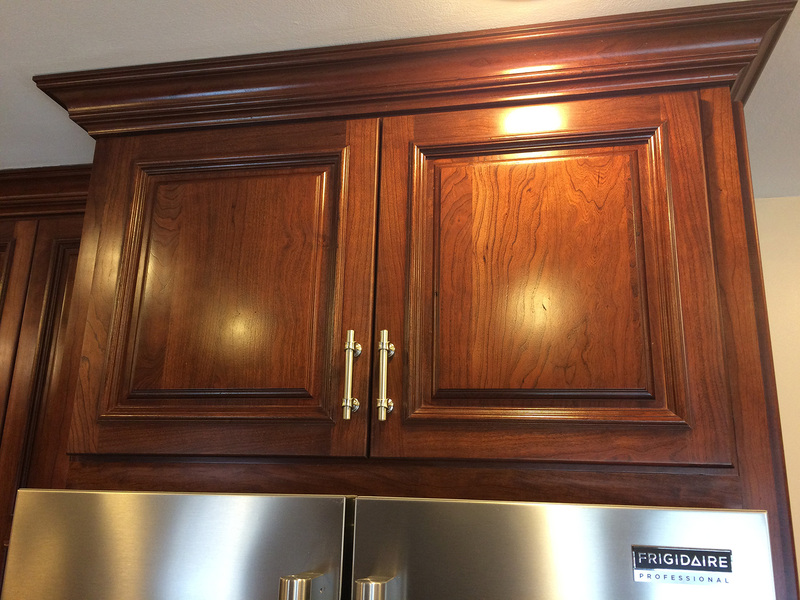 Looking for that color that just freaking pops? 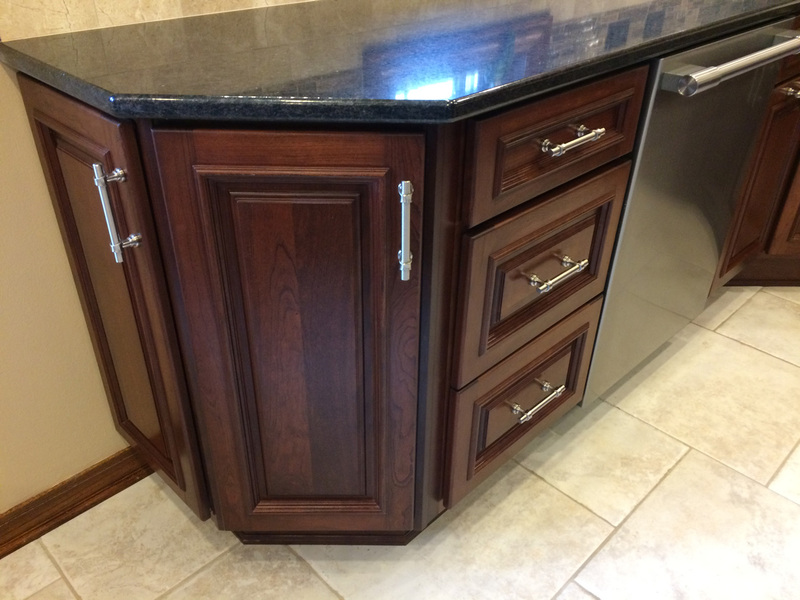 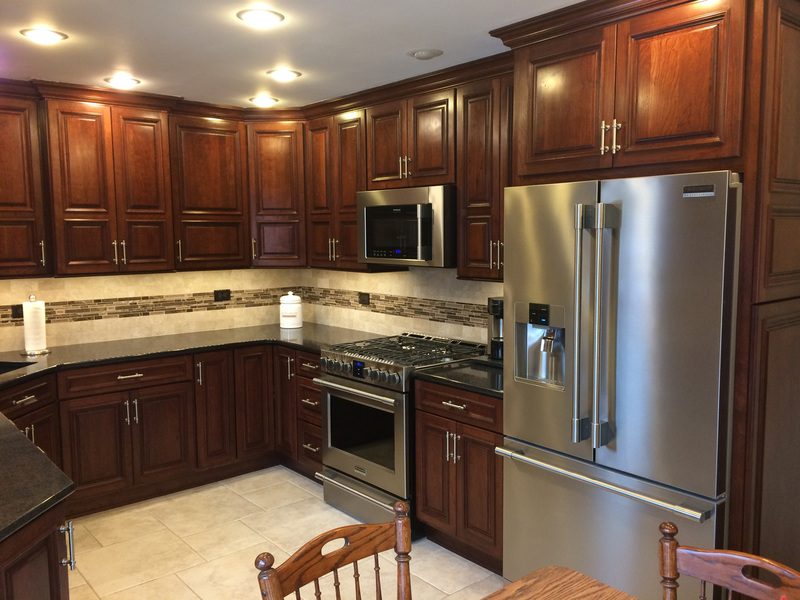 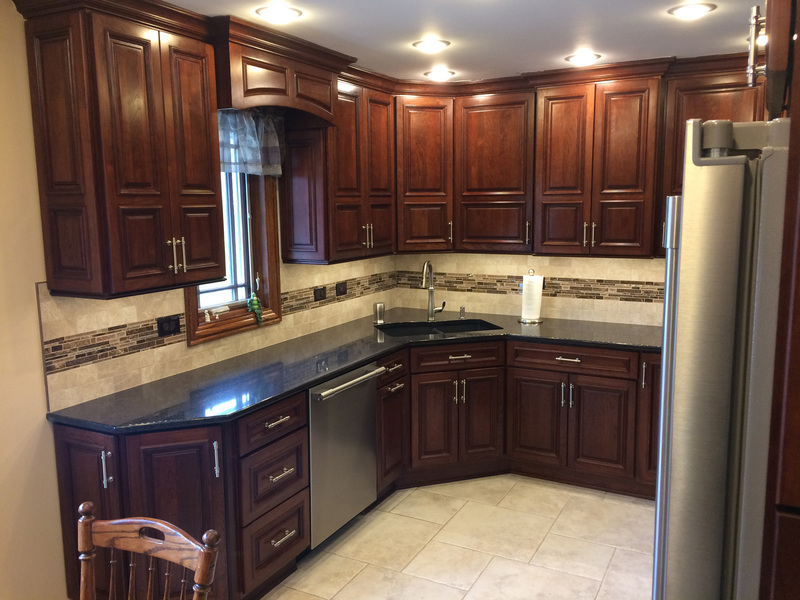 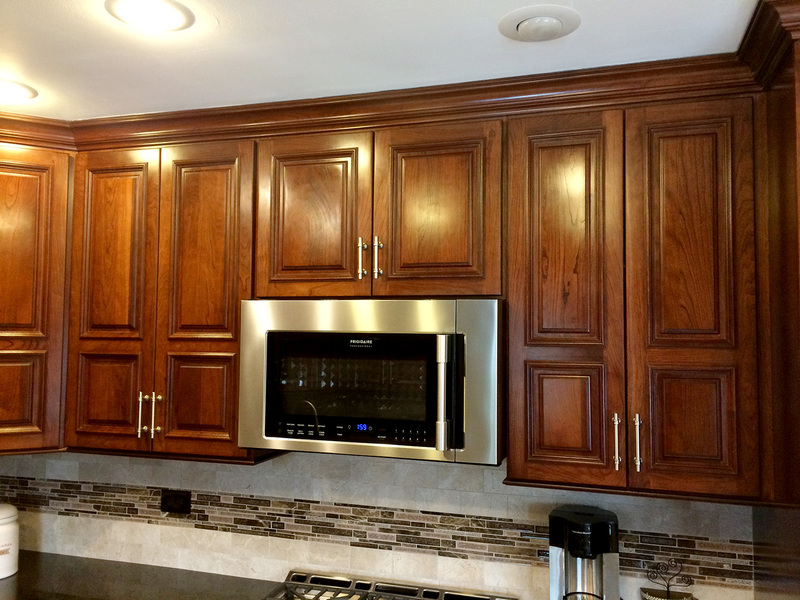 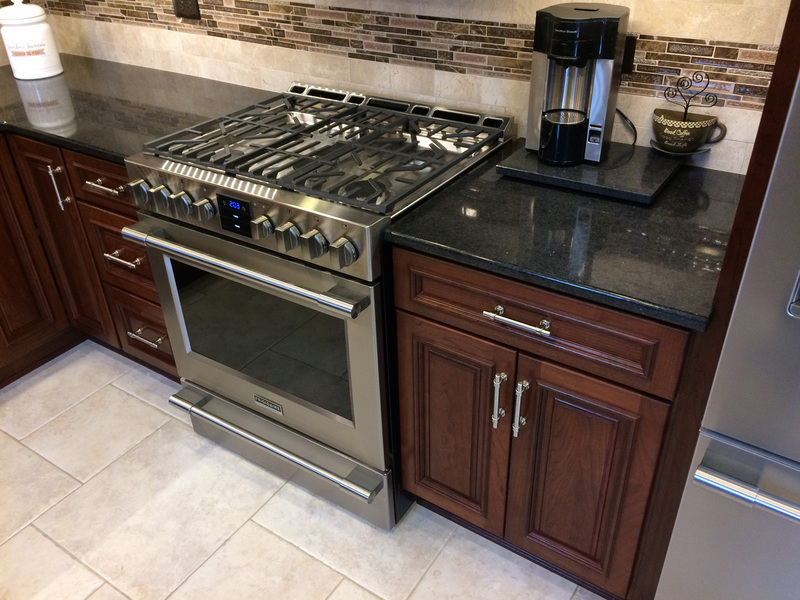 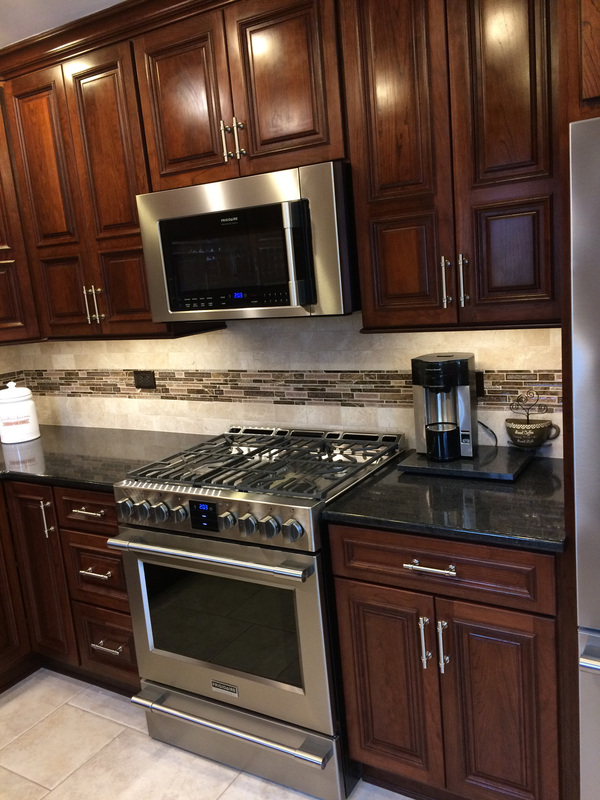 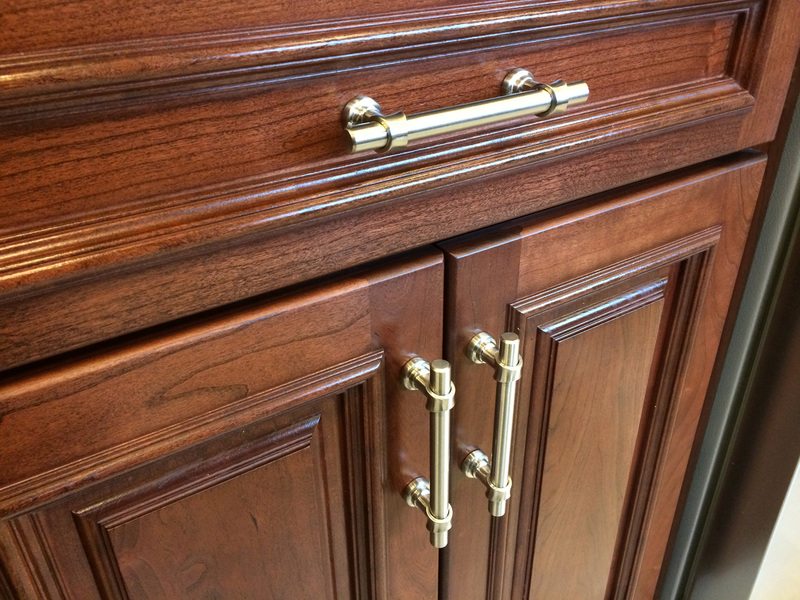 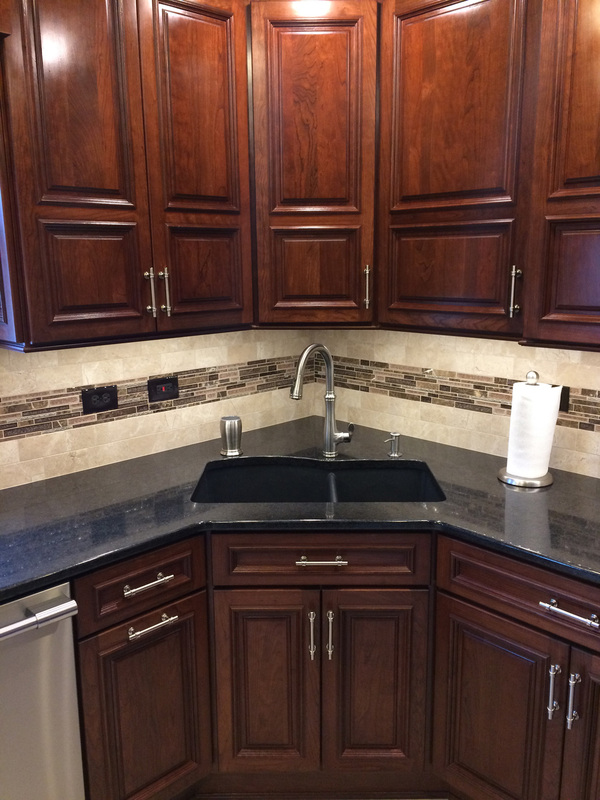 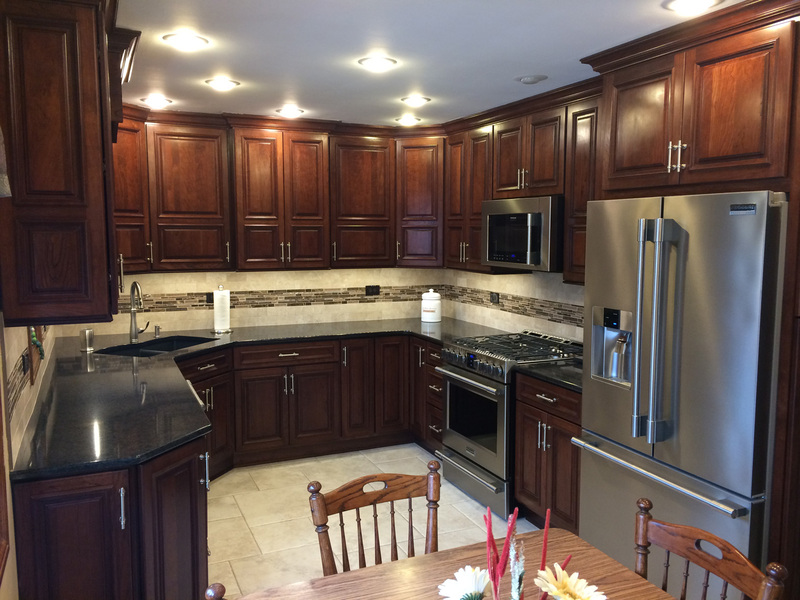 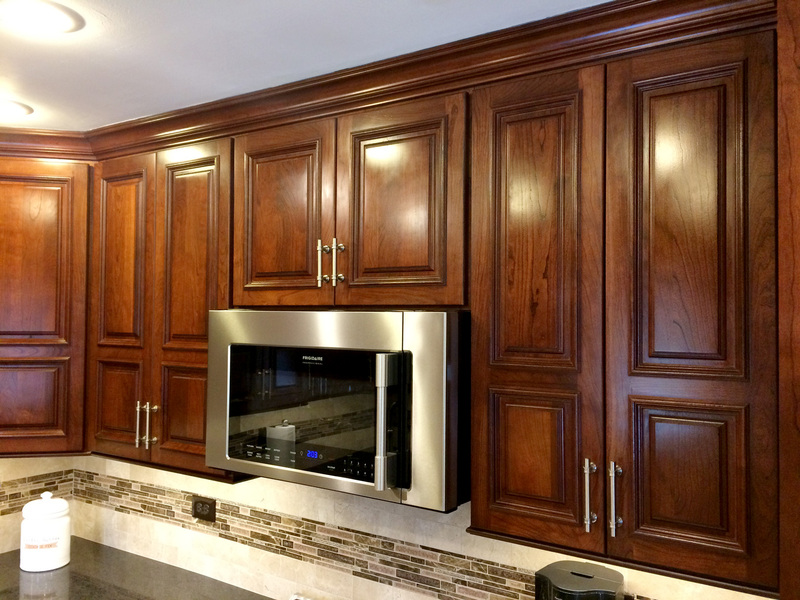 Cherry wood cabinets with a touch of bourbon coloring combine with a unique backsplash to really make your remodel stand out. 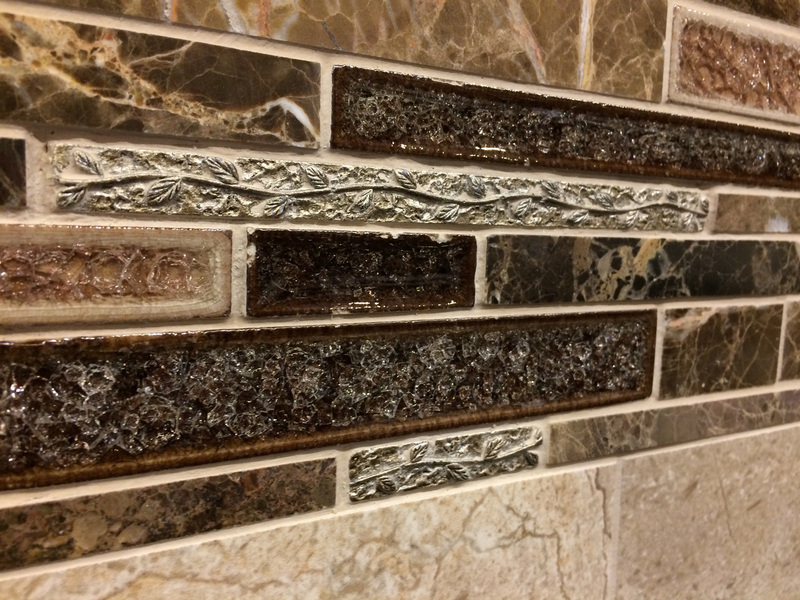 You can even have little details hidden in plain site, like the metal vines snuck into the backsplash tiles. 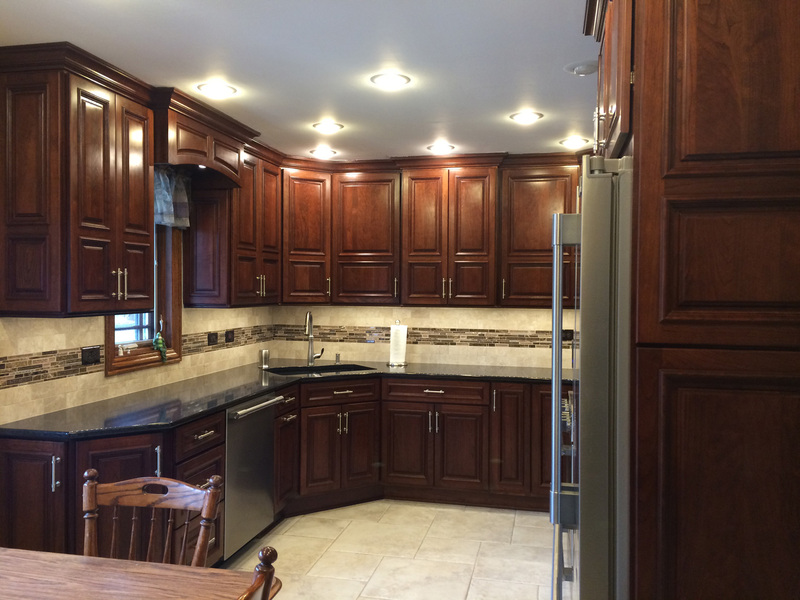 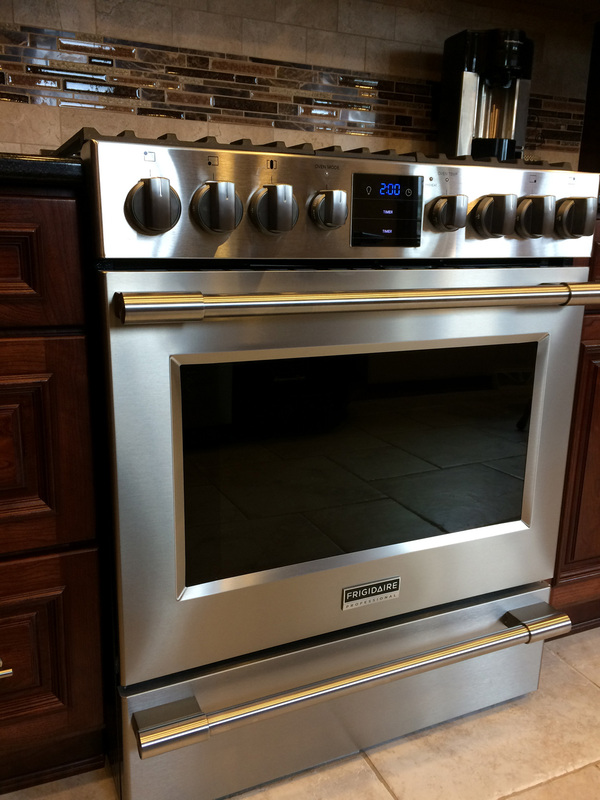 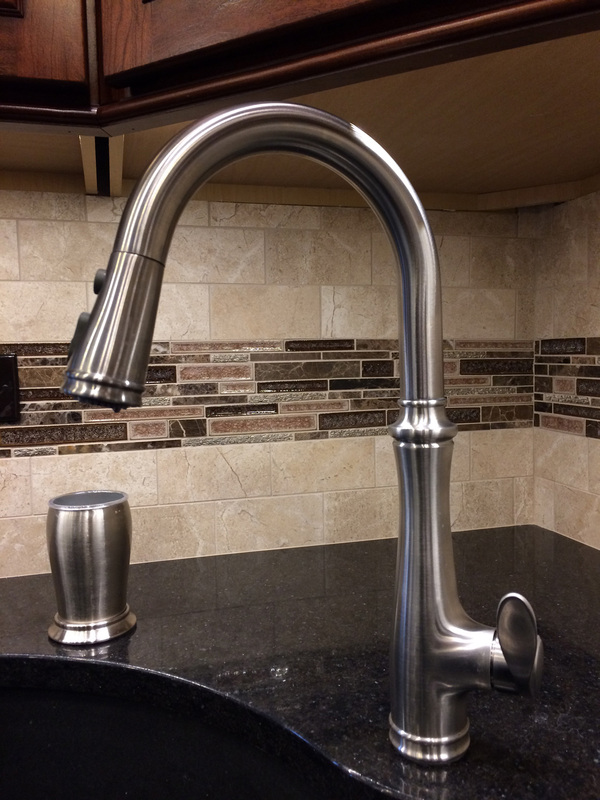 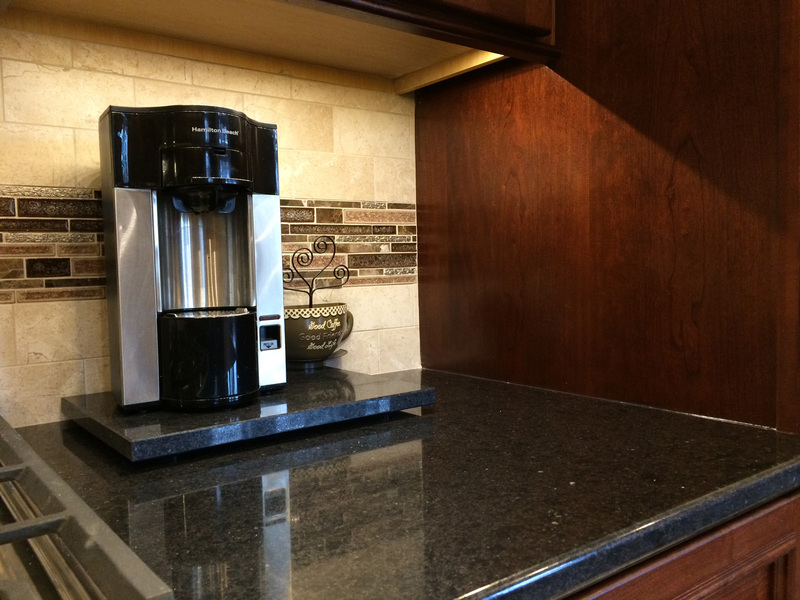 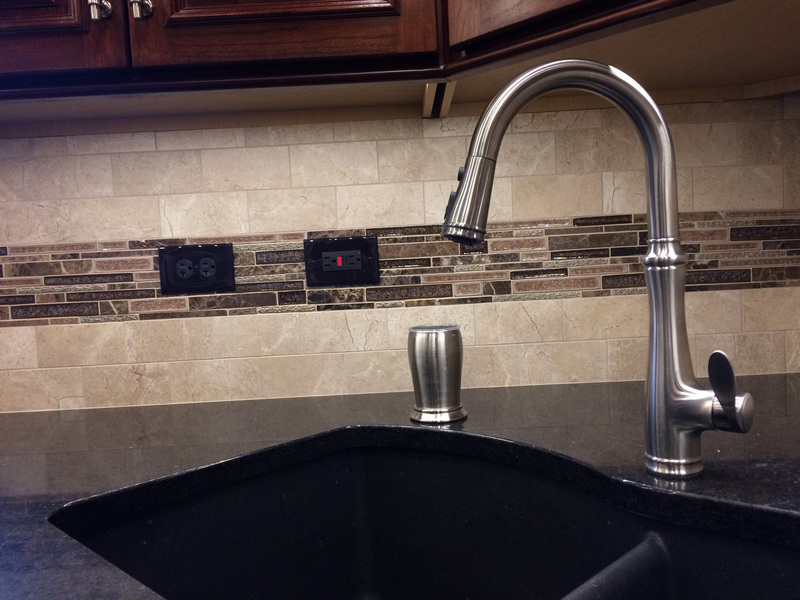 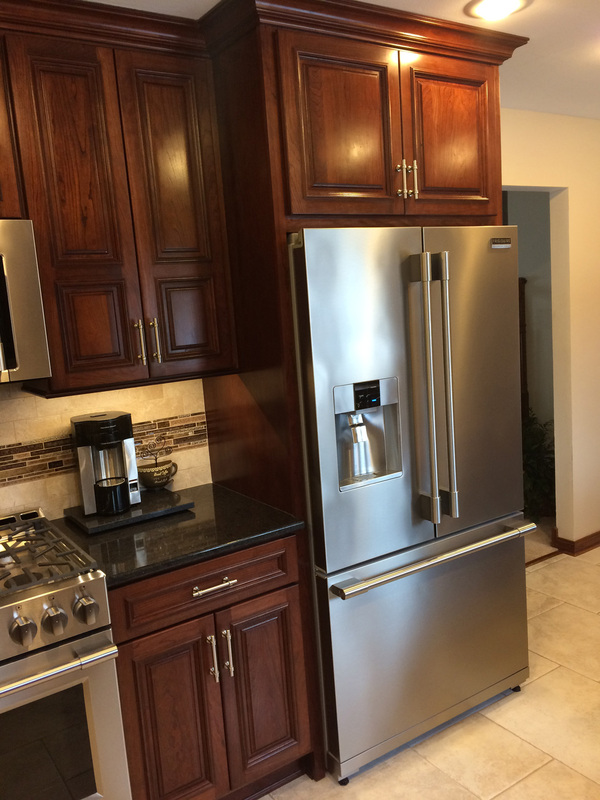 This kitchen was created after our designers successfully (and very affordably!) 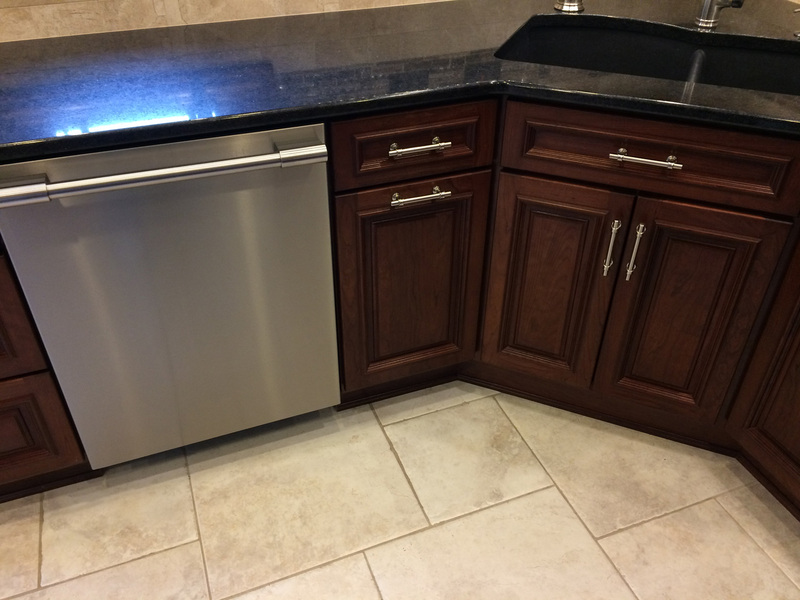 reworked the pipes underneath the floor, allowing the appliances to be moved where ever the owner wanted them in the new layout.